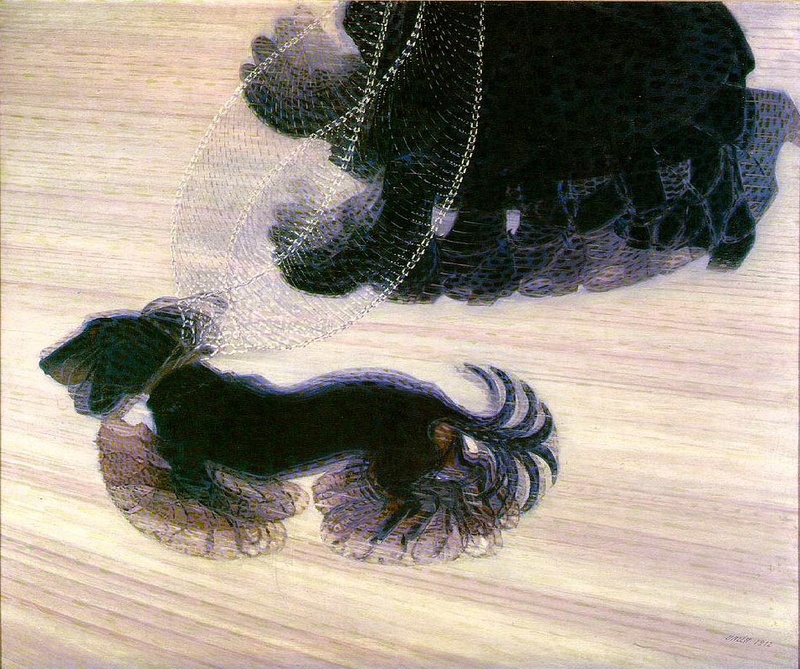 I am delighted to have been long-listed for KCL’s Creative Responses to Modernism with a wee glib closet drama ‘Embark’, all about the different dogs that crop up in salon literature. Entries were invited from postgraduate students based at the Universities of London and Sussex, with submissions encouraged to ‘continue or challenge the modernist project’ through writing, images, short films, digital artefacts, performances or musical compositions. The list also features Sarah Chadfield, Mary Horgan, Ivan Juritz [edit: WINNER!! – text of his brilliant ‘A Textual Source for Mallarmé’s Coup de Dés’ available with shortlisted entries here], Kate McEnery, Grace Yeong and a team submission from Simon Vickery, Tom Peters and Edward Szekely. Final judges for the prize include Lisa Appignanesi, Michael Berkeley, AS Byatt, Alison Duthie, Juliet Gardiner, Jeremy Harding, Michael Holroyd, Stephen Romer and Fiona Shaw. My thanks to the Centre for Modern Literature and Culture for the opportunity, and I look forward to reading and hearing the other submissions. Now in its second year, The White Review Prize was ‘founded to reward ambitious, imaginative and innovative approaches to creative writing’. I am delighted to have made the shortlist with my piece ‘Spins’ alongside writers whose work I have long admired: please follow the links to read the brilliant ‘MUEUM’ by SJ Fowler, ‘Lives of the Saints’ by Luke Neima, ‘Submission for the Journal of Improbable Interventions’ by Brenda Parker, ‘by Accident’ by David Isaacs, ‘Biophile’ by Ruby Cowling [edit: WINNER! ], ‘Obsolescence’ by Joseph Mackertich and ‘Chiral’ by Paul Currion. Author David Gaffney and I were invited to read for Haringey Literature Live, a monthly series MC’d by Ambit‘s Kate Pemberton. Focussing upon short fiction, the evening was held at the Chocolate Factory, an art, design, music and media studio-complex in Wood Green’s Cultural Quarter. Thanks to Kate and to the warm audience. You can buy copies of David’s Sawn-Off Tales through Salt’s online store.